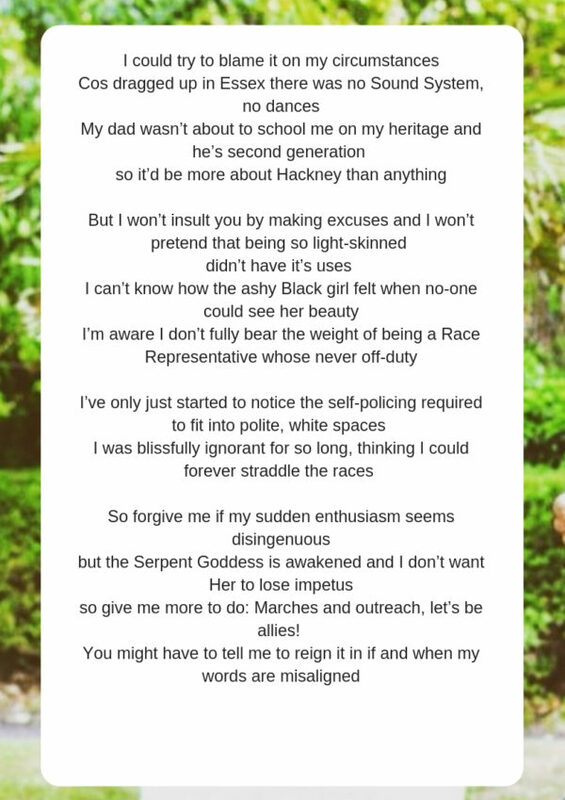 We’re delighted to be sharing this spoken word by our Placenta Remedies Specialist Rhia Mandela, the Creole Birthkeeper. 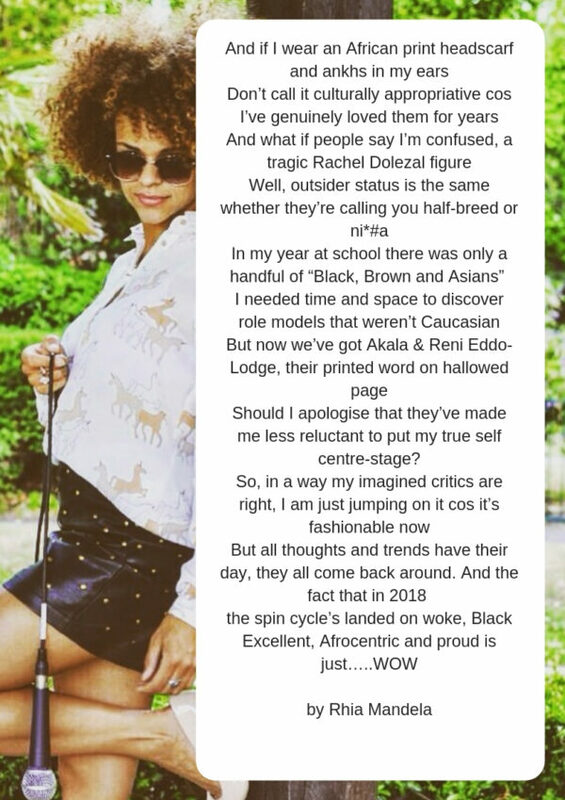 The piece is called “I am Just Jumping On It cos It’s Fashionable” and it’s a poem she wrote about being of mixed heritage in an increasingly identity-based political climate. Rhia covers areas in London and Greater London that include Forest Hill, Sydenham, Lewisham, Croydon, Penge, Honor Oak Park, Anerley, Brockley, New Cross.